BEAUTIFUL SNOWDONIA. GREAT LATE AVAILABILITY DEALS! Book Direct And Save On Your Wales Holiday Rental. Select your preferred date for a Snowdonia mountains and coast Holiday.Weekly, Mid Week, Weekend and Discount Deal packages to suit every budget according to season. Scroll Down To Enqiry Form For Our Great Getaway Breaks. We Reply within the hour! What better then at the end of all that excitement than to return to a cozy fully equipped character cottage for a fabulous dual fuel barbeque on one of the terraces? 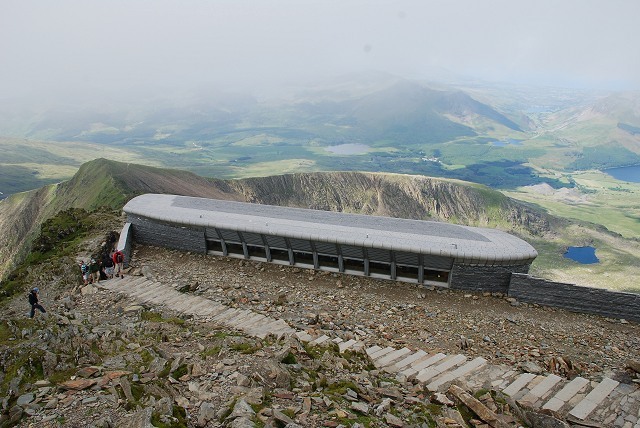 One of which takes in the glorious mountain vistas from mount Snowdon, over to Nantlle Ridge and down to The Rivals toward the coast, the other providing awesome glistening sunsets over Caernarfon Bay! Book early for that special occasion get together, be it a Kids Free mini break -children are very welcome- a group Charity Climb, a birthday, an anniversary, Stag & Hen or any other excuse for arranging your own Snowdonia Break. Prices from just *£10.00 per person per night. The Farmhouse. A welcoming traditional Snowdonia Farmhouse accommodation for those seeking a quality home from home with a wealth of original character. Located in an enviable position, it is set between Mount Snowdon and the Sea and so offering beautiful views to all aspects. This lovely old farmhouse provides an opportunity to enjoy a spacious, comfortable and fully residential holiday home. Click image for our latest reviews gallery. An impressive original Ingle Nook fireplace which is in full use makes for unforgettable social evenings in the company of family and good friends. The cottage is fully central heated. Pretty bedrooms, super comfy beds with quality memory foam topped mattresses. A lovely old farmhouse dining room with a huge 12 place locally hand crafted table makes it perfect for old fashioned family meals or group celebration dinners.Fully equipped farmhouse kitchen. Popular with walkers and climbers as a welcome retreat after a long day in the mountains. All this along with a safe enclosed garden with play tower and garden toys are just some of the reasons we find our guests returning year after year. The Region. Snowdonia is described by the Rough Guides as ‘the most dramatic and alluring region in Wales’. It is the land of Celtic culture, castles, myths and legends with some of the most stunning scenery imaginable. If you're also looking for activities then this is the destination for you. Cycle or walk along the ever popular designated routes, admire the scenic environment on horseback or try quad biking for fun and excitement. With a varied coastline and inland waterways, a range of watersports are on offer from sailing and canoeing to skiing and wind surfing. Snowdonia is renowed for some of the best climbing, scrambling and walking in the world; Hardly surprising that it has now become the Activity Destination of Choice.
" A charming traditional Snowdonia farmhouse"
A delightful Wales Tourist Board 'Excellent' Accredited self catering farmhouse accommodation which sleeps up to 14 guests. The BBC series' Snowdonia 1890' was filmed just a mile away. Local amenities include Sustrans 'Traffic Free' Route 8 of the National Cycle Network and of course the Welsh Highland Steam Railway, which can be seen from your cottage! This Snowdon Holiday Cottage has ample Parking & Secure Storage for Boats Bikes Canoes etc . "Ideally located for Llanberis, Beddgelert, Lleyn Peninsula and Abersoch, Anglesey's Holyhead-Dublin Ferry Port, Betws y Coed, Llandudno etc. etc. etc!" Hire this entire farmhouse cottage for up to 14 guests as .Down a private lane and standing in its own grounds. This lovely traditional Welsh farmhouse has been a welcoming family home for well over 200 years and retains many of its original features. BETWEEN SNOWDON AND THE SEA! Dinas Dinlle Blue Flag Beach.10 mins Drive . Set in the countryside above the historic harbour town of Caernarfon (a designated World Heritage Site) with views of Snowdon and the Bay and out toward the distant lighthouse of the 'Mystical' Llanddwyn Island Not really an island at all!Perfect for people with children - it sleeps up to 14 and could easily accommodate 2 families.- Children love it- Equally popular with walkers and climbers, especially for those Short Break get togethers. No transport?-NO Problem! Mini Bus hire service available -to/from railway station, various activities etc.. Warm and cosy all prices quoted include seasonal central heating, electricity and all bedding. Full of period charm and with quality furnishings throughout. The brightly appointed dining room has a large farmhouse table seating 12 and a Welsh dresser. Huge inglenook fireplace dated 1812, a perfect setting for cosy fireside evenings!. Ample sofas, comfy cushions. (all images shown are dated sorry, new website posted soon). . French windows open into the sunlounge. . A Balcony with table and chairs overlooks the safe lawned garden which has swings, a slide, play tower and picnic benches. FREE Optional WIFI Access. Nearby Within an easy half mile walk you'll find an array of eateries from grand County House restaurants, an excellent Indian take-away, a Fish and Chip Bar to a friendly Village Inn featuring regular folk music sessions and which serves carveries and regular family pub fayre. Half a mile from the cottage is a disused railway track, now an excellent cycle/walking path -which form the starting point of the new 84 mile Lleyn Peninsula Coastal Path- (Cycle hire service available locally). Ideally situated for the beaches of the peninsula and Anglesey and only 5 miles from the centre of Snowdonia. There are abundant outdoor pursuit facilities in the area including the National Watersport and Mountaineering Centre offering sailing, scuba diving etc. This 'IS' Steam Train country! The narrow gauge Welsh Highland Railway runs from Dinas, half a mile,to Caernarfon with its truly majestic castle, shops, restaurants and pubs. Take a stroll along the old quay side or catch a boat for a fishing trip or a sightseeing tour around the island. Alternately hop on board and take to the other direction toward Rhyd Ddu (a Snowdon path starting point) for a nostalgic ride through the breathtaking countryside; you can even see your holiday cottage on the way! Steam trains also at Llanberis. - All from this delightful Welsh Farmhouse. Further info - Facilities page. Special Low Season Getaway Offers 3 night WEEKEND BREAK (or 4 night mid week). Price based on group size and adult/child ratio (including Halloween and Bonfire weekends!) Beaches, Lakes, Forests, Country Inns, Steam Trains and Castles, along of course with the obligatory Dragon or two! Available as an optional extra is our range of delicious Snowdonia Breakfast Hampers. Cook indoors or alfresco on the large barbeque grill? *From £15.00 per person per night based on off peak weekly let. *Special Low Season Getaway Offer exclude school, public holidays and certain special event dates.